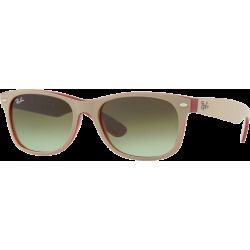 Ray-Ban Jackie Ohh RB4101 sunglasses are distinct and flattering. Classic femininity and iconic charm come together in this propionate Ray-Ban Jackie OHH RB4101 sunglass. 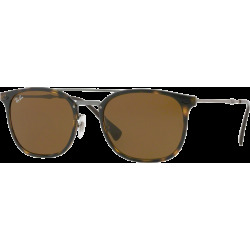 The modified cat shape frame with soft upswept lines combine Ray-Ban classic styling with a current, modern look. Available in a classic easy to wear color palette. Classic femininity and iconic charm come together in this propionate Ray-Ban Jackie OHH RB4101 sunglasses. The modified cat shape frame with soft upswept lines combine Ray-Ban classic styling with a current, modern look. The arms are connected to the front with small metal hinges in pure vintage style. 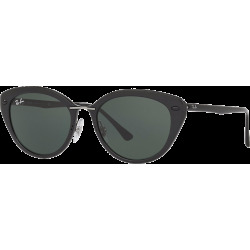 The Ray-Ban logo is blocked out in metal on the arms, preceded by the characteristic olive-shaped detail, typical of the brand. Available in a classic easy to wear color palette. This model is also prescription lens friendly. 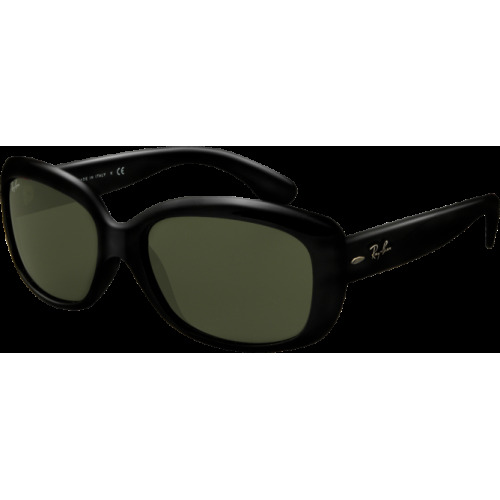 Try a pair with polarized lenses for extra crisp vision. 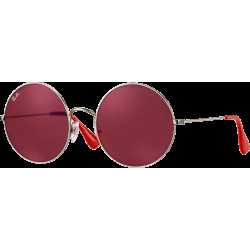 These Ray-Ban sunglasses are guaranteed 12 months against any breakage within the framework of a normal use, two years against manufacturing defects noticed by the manufacturer, as from the date of purchase ( the date of the invoice). The guarantee does not cover the defects due to a misuse or to a lack of care (shocks, scores on glasses, loss, accident). Timeless, authentic and imaginative, the Ray-Ban collection remains true to its classic heritage, while continuously evolving to meet today's fashion demands. Ray-Ban sunwear provides timeless style with models like the classic Wayfarer and Aviator while also offering exciting new styling innovations in keeping with today's contemporary urban fashion. Worldwide, Ray-Ban is recognized as the sunglass brand everybody loves. Ray-Ban is a high-end manufacturer of sunglasses, founded in 1937 by Bausch & Lomb, on commission of the United States Air Force. In 1999, Bausch & Lomb sold the brand to the Italian Luxottica Group. Ray-Ban was responsible for creating two of the most imitated sunglass models on the planet: the Ray Ban Aviator and the Ray-Ban Wayfarer.